There's a dance party every morning in scout&catalogue's studio. I mean. Couldn't we all use a little dance party in the morning? In other news, I love that I married a man who owns a disco ball. I don't know where I got this disco ball obsession, but I'm pretty sure it has something to do with the rad photos that keep turning up all over the internets. disco ball. i can't imagine anything better right now. I really think that dance party monday mornings could completely change my whole attitude about the work week. Aw man, I didn't even know you looked at my blog. 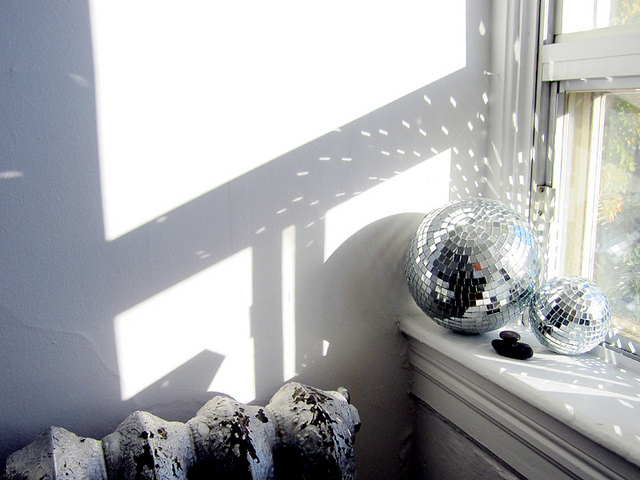 I'm so happy that other people are totally into this disco ball thing, because it's GENIUS. 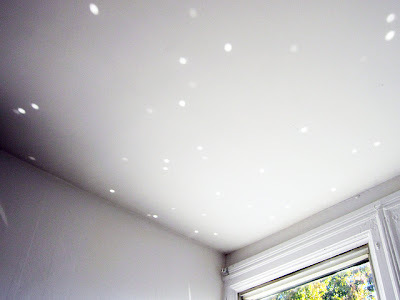 I have a mini disco ball handing on my office lamp at work, and this morning when I came in, the sun was streaming thru the window, and making a little disco on my desk. It was sparkletacular. i want disco stairs in my one day house. man, this morning dancing studio parties reminds me of the days I had working full time in my own studio, jumping around and designing: happy days. That just sounds awesome! Love the disco ball! hmm. now i'm just thinking the supermarket should also be lit with disco balls. How do you not have one? It makes the morning feel good. forget small. when it comes to Disco Balls you need a large one hanging in place of a chandelier. i gave the very one to my biz partner for her bday one year and often think of stealing it back.